M2 guest columnist Mary Pat Dunn, pictured here Thursday, has been the registrar for the Museum of Northwest Colorado since 1997. She has lived in Craig for about 30 years and also helps arrange displays throughout the museum. Some of you readers deserve a heartfelt thank you from our community, and this is the best time I could think of to express it. Your gift to all of us might have been unintentional, but nevertheless, the results of your hard work have benefited our town as a whole. We all know that the BIG WHITE change is only about two months away. That leaves us about eight precious weeks to enjoy our green lawns, fluttering leaf shadows, and vibrant garden colors. As I have driven the streets of Craig, enjoying the summer yards, I have deeply appreciated some recent improvements to several sites around town. There is a little home in the 700 block of Yampa Ave., that is sheltered under large trees — trees that almost seem larger than the home itself. With a dusty expanse of yard in front of it, the diminutive home has never attracted much attention visually. It was just a non-descript older dwelling with an abundance of shade. But, someone with imagination and energy has taken over, and thankfully so. Now, it is a pleasure to drive by and watch the improvements that have been made to the property. Thank you to whoever you are. I have enjoyed watching the potential of your little home come to life through the neat fence, the rock work with the new siding, and the delightful spots of flowers that give me delight every time I drive past. Your little home is now a pleasing part of my day. Another surprise came one day when I turned the corner at Ranney Street and Victory Way. The crews from Craig Sports and Roto Rooter had worked hard to get down a smooth surface to the previously dusty and rutted lot. They had painted and upgraded the dilapidated building. But when they added huge decorative boulders and flower pots — wow. While they were simply intending to give their businesses a little curb appeal, they simultaneously gave a visual gift to our community. But, individuals aren’t the only ones getting in on the improvement act. One civic organization that has truly affected all of us visually is the Craig Beautification Committee. They have taken several eyesore plots around town and landscaped them with perennials, grass, trees, boulders and decorative bark. I have passed the women of this group — bent over in the hot sun, digging and planting — and marveled at their dedication to the visual improvement of our community. Once more, thank you, committee members. Your positive efforts and contributions impact all of us daily. There isn’t the space here to thank all of you who have visually added to the loveliness of our town, but if you have pulled a weed, planted a marigold or mowed your lawn, you are part of that beauty. If you’ve bent to pick up small bits of litter on your morning walk (as Elaine and Lloyd Deu Pree did for years) or disposed of your yard sale signs, then you’ve made our hometown a better place. I am hoping that those who have refreshed us with the improvements to their homes and businesses will also be encouraged and refreshed. Now, go have a glass of lemonade and enjoy the view. 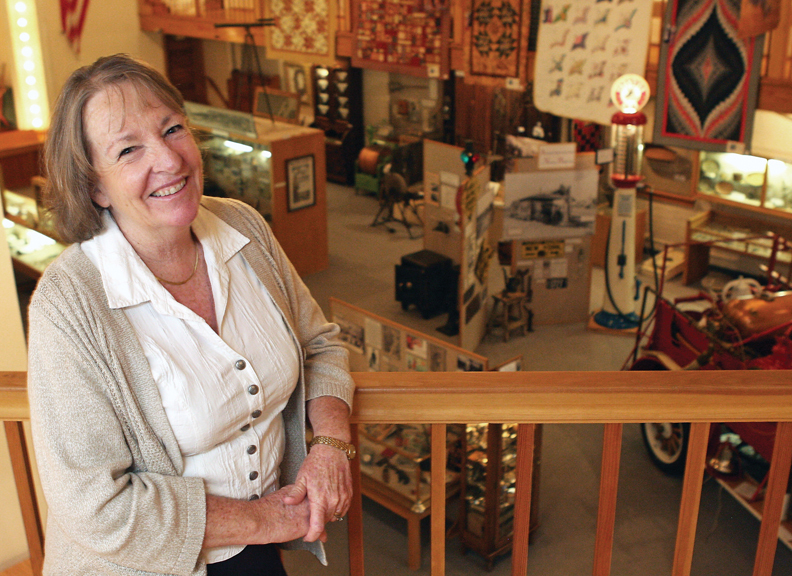 Mary Pat Dunn, registrar for the Museum of Northwest Colorado, is a long-time Craig resident and first-time columnist. She can be reached at marypatdunn@gmail.com.